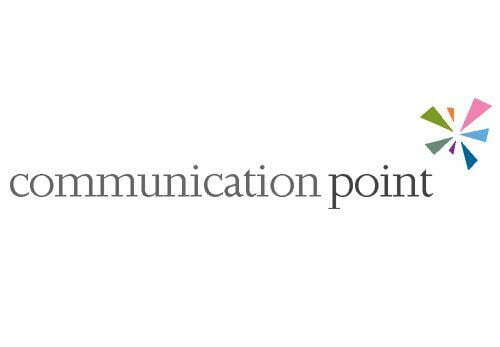 We’ve rebranded Communication Point with a refreshed design for their print and a WordPress website. Communication Point decided to go for the “starburst” design for their logo. Sara Speicher, Communication Point’s Director, explains “… it brought all the elements together – showing movement (people, information) coming to a point, but also taking a message and broadcasting it. We also liked the fact that it was more light hearted and informal, and less corporate.” The website is in a similar vein with a colourful and less corporate feel to it.